EA felt like an unbalanced board, having good stuff to show but at the same time filling it with parts that weren’t needed. I’m not going into hating on the sports games, but with NBA and Madden, it felt like the only reason they were there was to show that they are there. There isn’t a need to do that. We already know they are coming. At least with FIFA they had some actual news – the fact that the UEFA is now included in the roster of leagues available. Even the World Cup of FIFA 18 tied into that – having a free trial for people to play. Battlefield V was here, barely. A trailer for the Ground Operations mode was shown, but the bulk of the content sounds as though it will be at Microsoft’s conference. The conference turned into an eSport-lite event to show off a new mobile game based on the Command & Conquer IP – Rivals. A pre-alpha is available to Android users right now, with the game itself coming later in the year. I guess showing the gameplay helped get an understanding of it,but bringing in the chaotic announcing of eSports tried to make it more epic that it actually is. Two indie games were shown off. The first was Unravel two, continuing the themes of the first game by bringing in a new adventure in co-op. 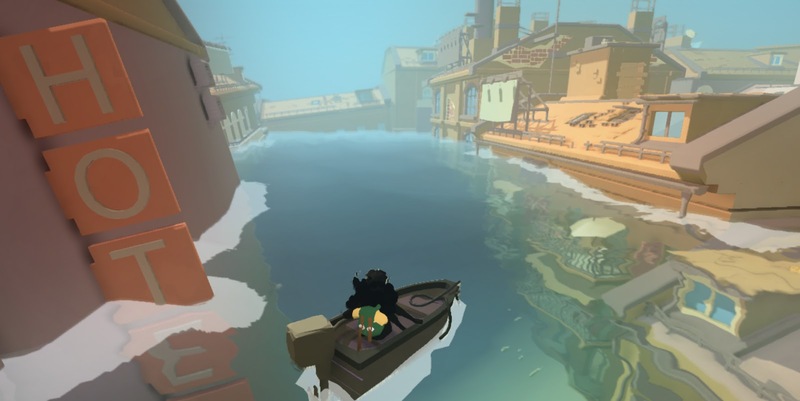 It looks to be the same charming gameplay as the first, with more of a challenge involved. The second is a new one for EA Originals – Sea of Solitude. It explores the concept of dealing with loneliness by having a manifestation of that feeling in the form of a person called Kay being so wrapped up in the feeling she turns into a monster with your job being to help her break from it and return herself to humanity. It has an interesting art-style in that it almost looks like a watercolour painting. Certainly one to watch. Origin Access Premier is a new tier of subscription that will allow access to new EA releases on PC the day they are released. It will also allow access to The Sims 4 and all of its content. A new cloud-based streaming service was announced as part of this, but not a lot was shared except for the fact they want people playing anywhere, anytime. Sound familiar? I guess this is the year everyone copies Nintendo in some form to get a slice of that tagline. The conference ended on Anthem with a twenty minute segment talking about the game and showing off some gameplay. It looked pretty enough, sure. It just doesn’t interest me. The exploration stuff does, but I still need to know more to fully make a decision. They announced the date of release being 22-February’19, so there’s enough time to see exactly what this is about. Is it kind of bad to say that the most interesting part of the conference for me was the Star Wars announcements – despite the fact we didn’t even see any gameplay for anything? The first of those announcements came from Respawn, who announced the name of their game as being Star Wars Jedi: Fallen Order. I’m using that way to tag the name as Jedi Fallen Order doesn’t sound as good. Not much was said other than the fact we’ll be a Jedi surviving the aftermath of Order 66. It certainly sounds like one to watch, but we won’t be getting anything on it for quite some time, with a holiday 2019 date for release. The second Star Wars announcement came in the form of Battlefront 2. It seems DICE really do care about the game – at least from the way it was being talked about, and the fact the rumours of content weren’t exact in their content. 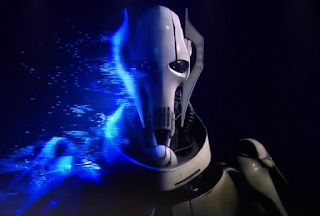 Geonosis is coming for the Clone Wars season, but while Grievous and Obi-Wan are here, so are Dooku and Anakin. Geonosis is set to be the largest map created for the game, and a few other things were revealed for the game as well. Squads are being changed up to work better as a concept, a new hero starfighter mode is coming, and the fact a sandbox-styled mode where capturing command posts is the primary objective was mentioned. If DICE are doing this, they had better do it right. And by that I mean conquest and space assault making the transition to this new style of Battlefront as perfectly as possible. While it will probably be a good few months before we see that, I’m just glad it’s coming. EA proved during this that they can make some great looking games. They proved they are working on improving their current games. But I’m not interested in most of it. I was there for Star Wars, and came away from it with an extra in the form of the two indie games. The conference was a good starting point for E3 as a whole, providing some excitement that will fully form tomorrow.